Dr. Reggie Kidd first heard of the Cathedral Church of St. Luke from a friend who was a member of the Cathedral. A worship leader in various churches for many years, leading services ranging from contemporary to traditional, Dr. Kidd had begun to discover the beauty and riches of historic liturgical worship, and decided, in 2008, to make a visit to the Cathedral. An Episcopal church may seem an odd place to find a Reformed Theological Seminary professor, but the Cathedral Church of St. Luke has a history of faithfulness to classic Christianity, and Dr. Kidd’s background in Christian origins, the New Testament, and the ancient church’s reflections on theology and worship dovetailed with this backdrop. His pastoral experience in less-formal church settings made it possible for him to promote an atmosphere of friendliness and warmth inside a Gothic Revival worship space with a more formal and historical liturgical worship. 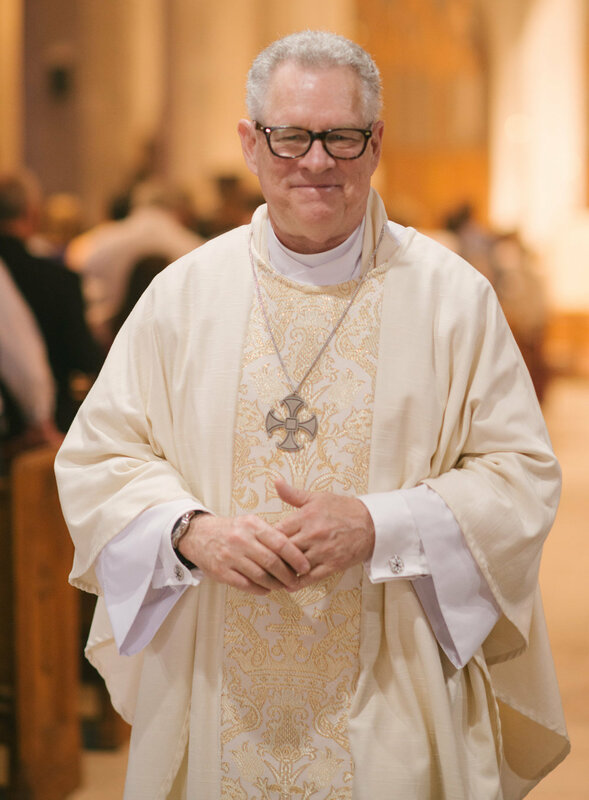 Installed in January 2017 as its 14th Dean, Dr. Kidd comes to the Cathedral Church of St. Luke after a long career teaching New Testament at Reformed Theological Seminary/Orlando. He continues to teach at the Robert E. Webber Institute for Worship Studies, and writes for Worship Leader magazine. Previously he served in pastoral roles for churches in south Florida, central Florida, North Carolina. Dean Kidd earned a B.A. in Sociology from the College of William and Mary; an M.A.R. and M.Div. from Westminster Theological Seminary; and a Ph.D. in Christian Origins from Duke University. His dissertation, Wealth and Beneficence in the Pastoral Epistles: A Bourgeois Form of Early Christianity? explores wealth and generosity in Paul’s letters to Timothy and Titus. He is the author of With One Voice: Discovering Christ's Song in Our Worship (BakerBooks, 2005). In addition, he is a contributing author to Robert Webber’s Evangelicals on the Canterbury Trail (rev. ed., Morehouse 2013); to Perspectives on Tithing: Four Views (B&H, 2011); to A Biblical-Theological Introduction to the New Testament: The Gospel Realized (Crossway 2016); and to The Baker Illustrated Bible Commentary (BakerBooks, 2012). With Third Millennium Ministries, Dean Kidd has helped produce a video series outlining Paul’s teachings in the New Testament. He contributed study notes for The Spirit of the Reformation Study Bible (Zondervan, 2003) and The Reformation Study Bible (Ligonier Ministries, 2005). Dean Kidd says, “At the Cathedral, we meet under the welcoming arms of Jesus. Our vision is for people to know Jesus, experience together God’s love and grace through Him, and live out of the power of the Spirit of Christ. Sometimes life comes at us hard, and answers aren’t always simple or easy. But we are here to share the journey, and together learn to trust Him.